A "gommone" is a motorized rubber dinghy which is perfect for anyone who wants to rent a boat without a skipper and explore the coast independently. 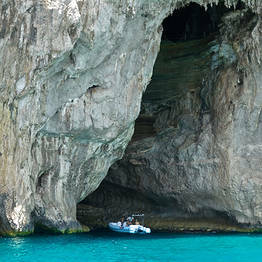 The dinghies available for rent on Capri are all small and easy to navigate, so you can enter the sea caves and tiny coves along the island's coastline. A ride on a dighy is fun and you can carry up to 6 or 7 passengers, but this kind of boat is not recommended for those who suffer from seasickness or who want to spend the sail working on their tan. Dinghies do not have a very large sundeck and are very bouncy on the waves. The cost of dinghy rentals usually does not include fuel. 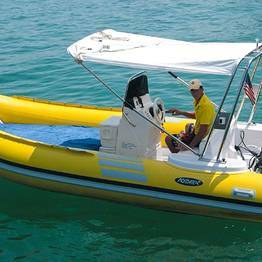 As an alternative to a rubber dinghy, you can rent a small fiberglass boat from Banana Sport. 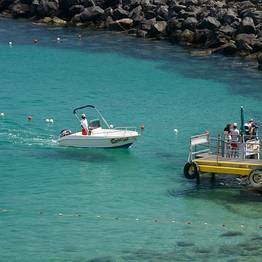 These are also easy to navigate by yourself, you don't need a boating license, and each boat can accommodate up to 5 people. 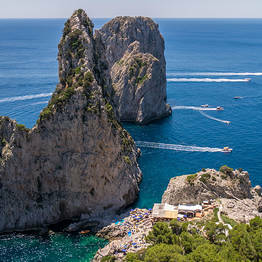 The rental office is located in Marina Grande on the small pier behind the ticket offices for ferries and the funicular. You don't need to reserve a boat ahead of time. I don't have a boating license. Can I rent a rubber dinghy? Yes, you don't need a license to rent a rubber dinghy. 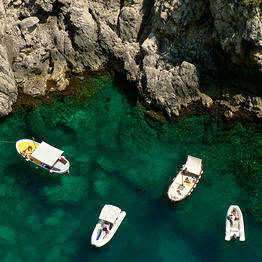 Dinghies ar easy to navigate, though it's best if you have at least a bit of experience in boating, especially in the months of July and August when the waters of Capri are crowded with crafts. 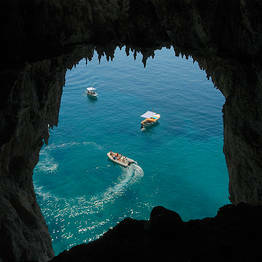 Can I visit the Blue Grotto on a dinghy? 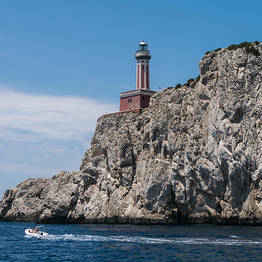 Yes, in front of the entrance to the Blue Grotto there are buoys where you can anchor the dinghy while you transfer to the small rowboats which take passengers inside the Blue Grotto. If fuel isn't included in the price, do I have to fuel up? No, dinghies are topped up with fuel before being taken out, and you pay whatever fuel you have used when you bring the dinghy back. Yes, usually dinghies do not come with beach towels included. 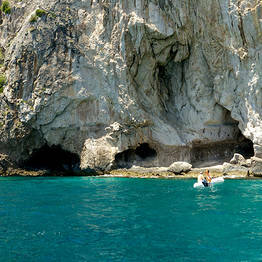 How much time does it take to sail around the island of Capri in a dinghy? 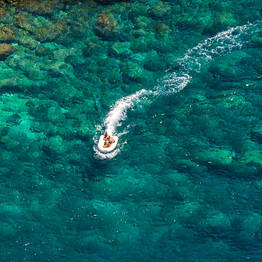 It takes about an hour to sail the entire circumference of the island without stopping. 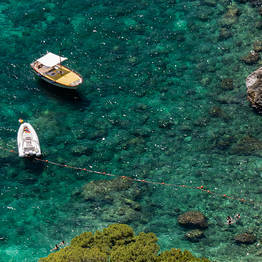 How much does it cost to rent a dinghy on Capri? The average cost is about EUR 100 for a couple of hours.